Windows 10 as i said it was released but i was talking about the technical preview, now to understand what i am saying is that this Windows 10 downloads will be the full downloads and there is no problem on it and it wont crash your computer. 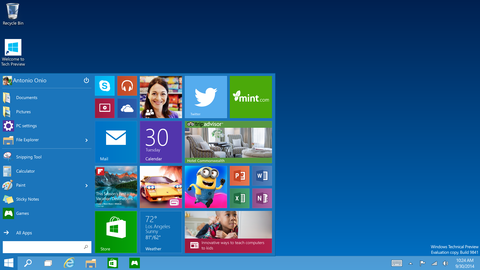 But it is recommended to buy the windows or to upgrade for free after the release date next year 2015. Remember this is the full windows 10 released for those people who want to test it and want to learn how it works before release date so it can be implemented to there business or company after the release date in 2015. There is no need to stress if it will work or not i have tested it and it works fine and better than the windows 8.1 and windows 8. There is a lot of changes made to the system of windows 10 and loads of more features and better user accessibility and user interface. There may be some small changes made from this release until the next release but it can be updated in the future. Product key for the installation not for activation. There will be keys released and software's to activate your windows from the release date in 2015 but till then it will work fine.